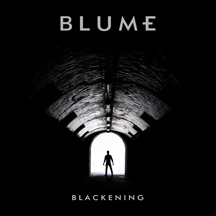 Blume returns with their first new release since 2013. Blackening is an upbeat track that blends a catchy hook and smooth vocals with elements of synthpop and electro. Blackening is a 3 track single that features the original version and remixes from nTTx and Stars Crusaders.